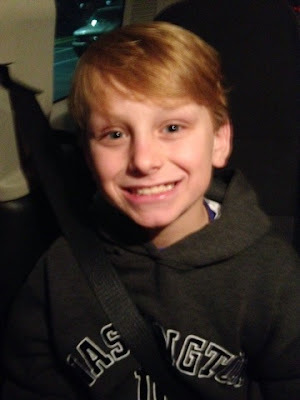 Jack Jack is all ready for the holidays looking handsome with his haircut! Haircut day and I have a love/hate relationship... I love his hair long and "fluffy" but then it gets out of control and I get it cut... Then I am sad because it's short again and it takes a week or so for me to like it again! He told me the other day that some of the 8th grade girls told him on the bus that they loved his hair and the back felt like clouds!!! Oh my! I am not ready for that! Don't talk about my babies hair like that! Don't make me buzz those clouds off! LOL! 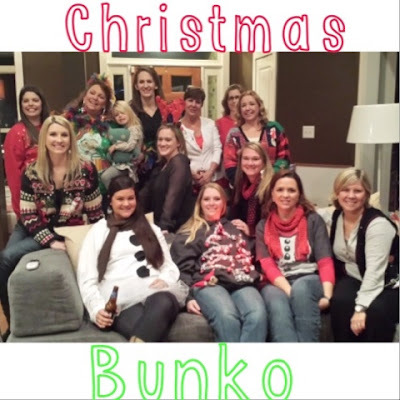 We had our annual Christmas Bunko tonight! We don't play this month instead we play Dirty Santa with Christmas Ornamnets!!! 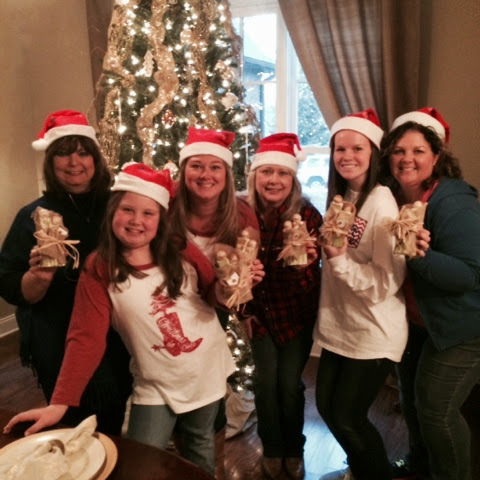 We also wore "tacky Christmas sweaters" and enjoyed some yummy appetizers!!! I love our little neighborhoods Bunko group!!! GoGo and I went shopping tonight for Christmas presents!!!! 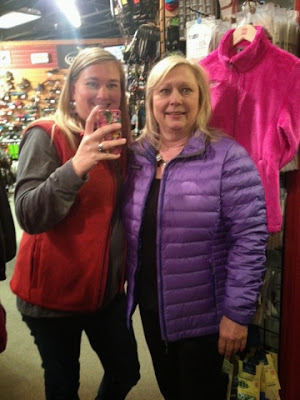 My Christmas wish list included some Patagonia items from Mt High! My mom made the comment about shopping at this store before! You know fashion is just one big revolving circle... Patagonia and "outdoor/hiking" type clothing was so popular when I was in high school and now it is back again! Too bad I did not save all that stuff... Oh yeah right because... It would only fit half of my body! LOL!!! Of course, we had fun taking selfies while we try on clothes! 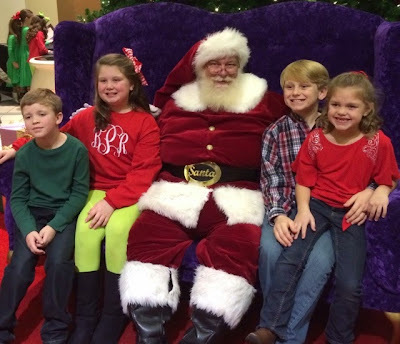 We went back today and this time we got to see Santa! He even sang several songs while we were there! 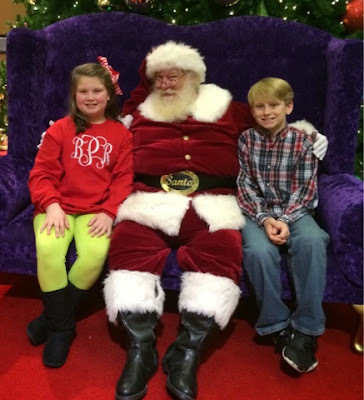 We have been to the Santa at Brookwood for over 10 years and have never seen him sing so that was super fun! He has a beautiful voice! Our cousins Katie and Zac came with us too! It was a fun little visit with Santa! The girls in our family got together and made these cute little wooden/burlap nativity figurines for Christmas! We also enjoy getting together eating yummy snacks, crafting, and chatting! 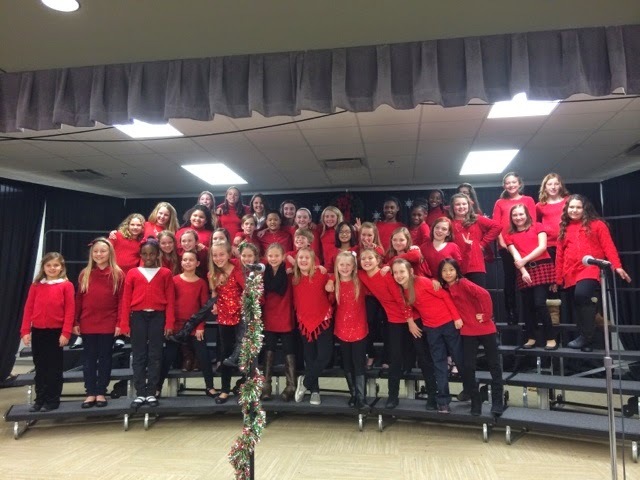 Monday, December 15th: Brylee's Show Choir Christmas Concert! Brylee is in the show choir at her school and they had their Christmas concert tonight at school! Brylee had one of the speaking parts that started the performance and then they sang several Christmas songs! 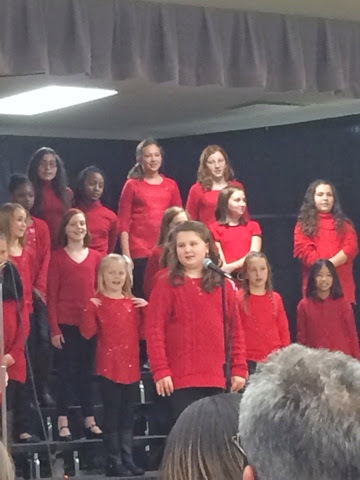 She did a great job and we all enjoyed seeing her Christmas concert! 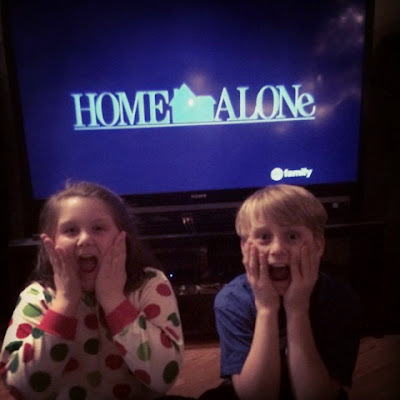 Home Alone is for sure Jackson and Brylee's favorite Christmas movie! We have watch it and the other ones too many times already! They were so excited tonight that it was the 25 days of Christmas movie (not that we don't have it on DVR already) but it was "real" as Brylee said! Lol! Of course, they did not make it to the end so I am sure they will watch it after school tomorrow! We went to get doughnuts last week. We sent the kids in with money to get them. Brylee came back out to the car and said they need .47 cents... RP and I were finding her some change and then JP comes out with the doughnuts and said they guy told him not to worry about it. Well then we realized they forgot napkins so JP went back in to get napkins and we gave him .50 cents to give to the guy when he went back in to get napkins. And Brylee said " tell him keep the change you filthy animal"! I thought RP and I were going to wet out pants from laughing! We laughed so hard b/c it was just so perfect and she even talked like the guy does on the movie! LOL... Only you sissy! Always keeping us on our toes!